Kids these days don’t do any physical activity which is not good for long term health. 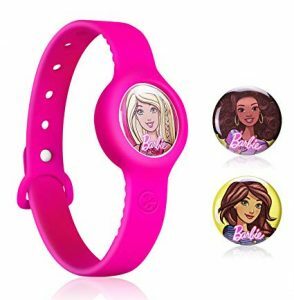 Kids activity trackers have come into prominence with various options to attract kids and gamify kids behavior to make them active and healthy. 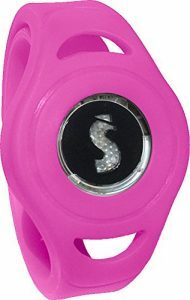 Kids activity trackers also help parents track their child activities. Let’s have a look at the best kids activity trackers. These are available in various designs to grab the attention of children and also keep parents happy with the right features. Kids would love to wear them daily. Colors Available: Captain America themed multi-color, Minnie mouse theme white color, princess theme pink, princess character icons theme purple, Spiderman theme black color, Spiderman theme red color, Disney Minnie mouse red & black colors combo, Avengers theme blue color, BB8 theme orange, and Minnie mouse theme red. The first version of Garmin activity tracker was a great success and this second version is released with better features, designs, and even more advantages. 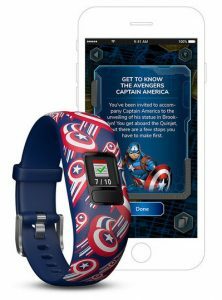 The Garmin is associated with Disney to make branded designs to attract kids. The tracker has unique mobile educational adventures that make children love the tracker. Once the kids reach their activity goals fun factors like mobile trail adventure are unlocked. The tracker also monitors the kid’s sleep. This sleep monitoring feature helps you to check whether your kid is getting enough sleep or not. Parents are able to assign chores to kids on completing the assigned chores kids will get reward coins. They can use the coins to redeem rewards in-app. It has the associated mobile app forparents to add multiple kids so that parents can see activities of all their kids at one spot. Swim-friendly, this means the tracker is waterproof will resist spills and splashes. The band is adjustable fit 130 to 175 mm. Compatible with vivify 3 and Vivify jr. bands. This fits for kids of approximately 6+ years with wrist circumference size of 5.78 inches. Syncs with a mobile app with chore management & can alert schedule tools, these are available for parents. This has a reminder to alert kids to be active, and you turn it off on moving the bar. By meeting 60 minutes of daily activity, kids can advance in bb-8’s adventures star wars story app. Adjustable and stretch bands are available. For variable size, go with stretchy bands for an easy fit. Various colors along with theme trackers are available supporting a free hand to choose according to kid wish. Kids will get rewards on completing the chores that can be used in-app. A special feature to add 8 reminder alerts and 2 alarm alerts. Fitbit Ace kids activity tracker comes with an OLED display. This allows your kid to watch out their daily progress of activities in real time. Fitbit Ace looks alike as Fitbit Alta model and specially designed for kids over 8+ years. This is a showerproof tracker automatically tracks active minutes, steps, sleep, and will provide the appropriate encouragement to stay active. The tracker gives you rewards for completing the tasks on time. It also has the feature to have a family competition. This allows you to have a family account and parents look after the activities of kids. Parents can also check the progress of their parents. It also allows you to watch with whom they are connecting the device and what information they are seeing. 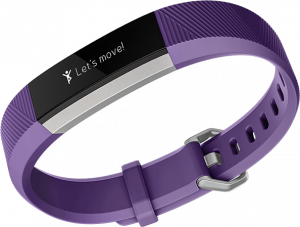 The Fitbit size is measuring about 125mm, and 161mm same as Alta model and width of the tracker is 15mm. A showerproof tracker that survives from spills and splashes of water. Reminders will send messages on-screen to encourages the kid to achieve goals. Perfect timing for sleep will keep the kid healthy all over the day. Parents can set sleep and wake-up reminders to make kids have a good sleeping habit. There are many personalized options like date, time, goal, progress and more. The kid with a personal phone will love to have a call notification on their wrist. However, this option works for selective devices and mobile should be nearby. The data can sync into Android and iOS devices that help track your child’s activities with ease. The battery life of the tracker is about 5 days, and you have to charge it beyond it for next usage. This takes very less time to charge. The Fitbit app allows you to create a family account to look after the child’s activities along with their progress. The parent’s consent is mandatory for children of 12 and below. This is secured by kids view as it can be turned on and off by the parent only. Fitbit Ace provides rewards and badges to encourage kids to reach their goals. Kids can stay motivated performing the challenges given by parents and by competing with others. Leapfrog Leapband is an excellent choice for young kids as they fell in love with this tracker design and structure. This device has healthy eating habits and active physical games in the form of games to educate kids with fun. They can acquire attractive rewards in this game which encourages them to grow – up as a healthy human being. 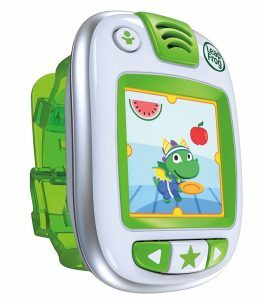 LeapFrog is not usually as other activity trackers that count steps, sleep, and distance all over the day. These points can be used to buy their virtual pet of various types. The virtual pets that are available are dog, cat, panda, penguin, monkey, robot, dragon, and unicorn. Kids are able to track their performance through the energy bar on the leapfrog screen. Every run, wiggle, dance, and jump will earn points to unlock new features. On unlocking each virtual pet will be rewarded with a virtual toy. The first activity tracker for kids age of 4 years. Preloaded activity challenges of 50. Out of which 10 imaginative, 4 cooldown challenges, the remaining 36 challenges can be added by parents. The games teach them health & nutrition, gross motor skills, and telling time. The parent control connection to leapfrog will help to set play times, challenges, and many more. This is mostly encouraging nurturing, active play, and healthy choices. Using motion tracking technology the leapfrog measures the child’s activity all over the day. The activities like spin like a helicopter, walk like a crab are the most fun to perform and to complete the task. The fun activity prompts of the tracker are able to hear through a voice from the speaker present on the Leapfrog. It provides a fun series of challenges like running, walking, dancing, jumping, and the child has to complete those tasks to earn points. However, the display of the screen is a 1.44 inch LCD high-resolution color screen. This has the rechargeable batteries and requires recharge based on the usage. It is water resistant from any spills and splashes. iBitz kids activity tracker is one of the low-cost trackers that easily fits onto kids clothing. Kids will earn more rewards based on their activity. Tracker allows parents to set goals and also provide real-time rewards for successful completion of tasks. This also allows you to customize on the screen along with custom adventures, for example, car set gift. It also has a setup of parent password to get access into this area. You can but it from here. It has the durable clip to fix to the clothing or shoe wherever possible to track the activity. This iBitz tracker also has the adult version which is also trending and has many more advanced features required for them. Get those for the whole family so all the family will have a healthier lifestyle using the same brand. These iBitz activity tracker for adult and kids versions are durable, colorful, lightweight that are having accelerometer technology that will monitor the physical activity. 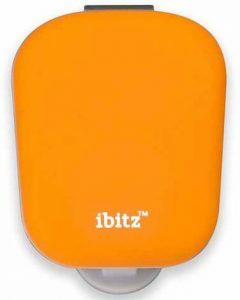 iBitz is a wireless activity tracker and syncs data wirelessly. This tracker device data is easy to sync into a smartphone with iBitz Kids iOS app. There is an indication for the sync as there is an LED light that blinks while syncing data. This tracker has the ability to store 30 days of data and rewrites the data for the rest of the days. The activity tracker is available in almost 7 colors so kids can choose according to their wish. This is wearable by attaching to clothing or shoe in contact with the skin gives the accurate results. It is water resistant and durable that is able to withstand from kids during wear and tear. This helps to explore in the galaxy spaceship based on the activity of the kid. If the kid is more active, they can explore more and can earn more. Parents are able to set goals and can customize real-time rewards like taking to a movie and so as per their wish. This area is safeguarded by the parent on setting a password. The app also has Amazon customization prizes, to claim them you have to select the price and has to finish the necessary activity to earn the item. The steps covered by the kids using this tracker earns them coins and able to buy content on Disney’s club penguin. There is an option to customize the child’s experience by selecting spacecraft of their own wish. The specific character encourages the activity, and it will educate child-like refueling choices like a piece of candy vs an apple. Weekly reports will be mailed to the parent’s email id. 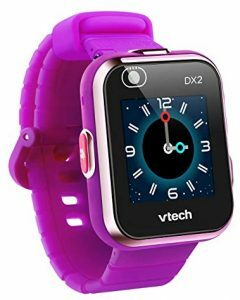 The VTech Kidizoom DX2 is a smartwatch for kids that functions as a smartphone as well as a pedometer. This is a customizable smartwatch with 55 analog and digital watch faces that are easily customizable. It comes with two cameras that will allow kids to capture selfies and action videos. The take images can be customizable as watch face using a smartphone app. This consist of a motion sensor for challenges of active play and also new games assortment. The USB cable of the watch is used to recharge the battery of the smartwatch and able to upload videos and images. It has the parent control to set a time limit for games or to disable games. This has the touchscreen feature to operate the features on the smartwatch. This smartwatch is sturdy and able to withstand kid’s wear and tear. The VTech Kidizoom smartwatch kids activity tracker has some of the smartphone features without in the range of a smartphone. The VTech Kidizoom DX2 comes with a dual camera to capture images, videos as well as selfies. However, the taken images are customizable to make them as the watch faces. This smartwatch has the feature to learn time with 55 analog and digital watch faces. It is waterproof that resist spills, splashes of water, and sweat proof. This is not suitable to use while bathing or submerging in water. This has the monster catcher game that creates real gaming experience. Here, the kid will be able to capture moisture in real time. It includes a motion sensor for challenges of active play, has a pedometer for counting steps, and sound effects. This comes with a USB cable to download games, recharge battery, transfer images, videos, and clock faces from Vtech lodge. Kids can explore their creativity of using fun photo effects, frames, stamps, and filters. Using the smart app parental controls have the ability to limit games play time and to disable games in the smartwatch. 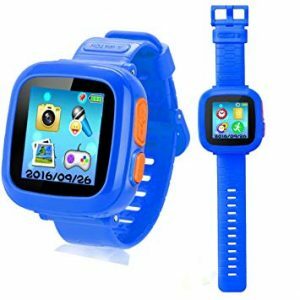 The other features of VTech Kidozoom DX2 smartwatch are rechargeable battery, touch screen, photo & video effects, voice changer, splash proof, time apps, motion apps, and games. Unicef is the one cause fighting organization that has designed the low-tech used wearable device to calculate nutrition level in developing regions children. This international organization has launched fitness wearable to encourage children to become active. The activity tracker users indirectly will able to help the malnutritional kids to be funded and to give sufficient care to them. This device also does the same activity as a pedometer does for activity recording. On completing the missions or certain steps, it will unlock the funds from fans, parents, or partners. Those funds are used by Unicef to send therapeutic food to malnutritional kids all over the world. Kids on earning more points they will save more lives. This is a great initiative taken by Unicef. The Unicef band is available in one size and mostly fits for all the kids. This is able to track both movement and steps. The kids wearing this, doing an activity, and earning points will unlock the therapeutic food packets, and Unicef delivers it to the malnourished kids. It has easy to read touchscreen, and there is no location tracking facility. The parents can track the kids’ activity using free companion application. This helps to compare and progress from the past activities. This is water resistant which resists spills and splashes. The battery lasts for 5 days and able to recharge within an hour. Able to go into an in-app mission to know more about various countries cultures over the world using free Apple ios app, and Android mobile app. One app can be used to track the progress of family or a team. This helps to manage multiple bands information in one device and able to organize individual profile information. 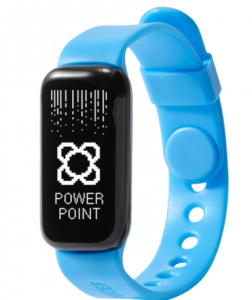 Nabi Compete activity tracker is the 1st competitive tracking band for kids. This works same as the general tracking bands, and the battery lasts for almost 3 months. On purchase, you will get two identical bands of unique color. This will sync data into the smartphone app to have a report on the activity. This helps to have a contest for the children to measure food burn and also gives challenges to run, jump, and walk. However, older kids can learn the concept of calories because their food burn is displayed along with familiar foods. The Nabi Compete also has the reward system for motivating kids. It has a virtual pet growing system as the kids earned points on completing challenges can be used to feed & grow the pet. Last but not least, the nabi compete has the feature of sharing the mood with the friends socially with nabi connect. There is also an option to choose an option of teamwork and to reach goals of fitness together. Nabi compete will help kids to stay active and can have fun with the help of head to head contests & collaborative tasks. You can select a distance from the various real-life distances like the National Mall loop and from many others. This helps to choose a food item and also shows who can burn the junk food calories. Nabi compete will measure the energy burn and gives various challenges to children like jump, walk, and run. You can choose real-time distances to complete your tasks. As the nabi connect will have well-known distances like the Brooklyn bridge. This helps to connect with other relatives or friends to reach the fitness goals. On connecting with nabi connect; kids can share their moods with friends and relatives. Kids can earn points on being active on completing goals and competitions. The Nabi connects daily basis teaches about distance & calories burned. Use the smartphone app dashboard to look after and to compare current steps & average over time steps. On being active & on completing challenges, you can earn points. Use those points to feed pets and to grow the pet a baby to adult. 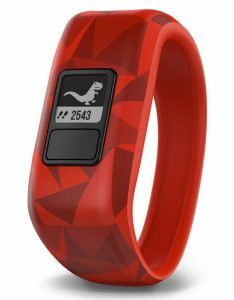 The Sqord activity tracker is just not a pedometer but also fitness device that encourages active play of the kids. This helps to complete the kids’ challenges daily basis. However, on completing the challenges kids will earn points. The tracker will wear all sorts of movements, and this converts into virtual rewards in the cleverly designed smartphone application. On using, Sqord activity trackers will surely increase the activity of kids as this has unique features to motivate kids. The research on 5th graders kids found that the Sqord activity tracker is increasing the activity levels of inactive kids by 55%. The water pool fights and swim meets are also translated into the big points as those consumes a lot of energy. As this is water resistant, this is taking advantage of land and water to track record of the kids’ activities. Kids can use the tracker until the gadget requires a battery change. The replacing of the battery is a simple one to do and inexpensive too. The Sqord activity tracker allows earning points on daily activities. The kids can participate in the weekly leader board challenges and also head to head challenges with relatives, friends, and family. This has a unique feature to set goals by parents and to create their own rewards. This Sqord game app plays converts into activity points, features, unlocks rewards and encourages active play. The Sqord activity tracker has an in-built battery that lasts for almost 6 months. So there is no need of charging on a daily basis or weekly basis. These are lightweight bands so that they are extremely comfortable for kids and they are durable lasts for a long time. Sqord activity tracker is safe for kids as this will don’t have an open chat, no buying, and no strangers. Here, the parent controls the child’s account with the help of app & content will be 100% age appropriate. The sqord activity tracker is waterproof. So that it is able to track in-pool activities. The battery of the sqord activity trackers lasts for 9 months without any kind of charging. You have to look after the battery after 9 months and the replacing simple. Here, the size of the tracker fits for all sizes of kids. YNCTE smartwatch is one of the best activity trackers as it has many features along with pedometer to track steps, distance, and calories burnt. It is mainly suitable for the kids of age group from 4 to 9 years. This is the best entertainment & learning gadget for kids. This has inbuilt games of 10 that all are educations games that help to exercise the brain of the kids. As most of the kids’ games are of logical & hands – eye coordination ability. Parents have the ability to limit the game time through an app, so there is no worry about the wastage of time. The additional features of the watch are a timer, stopwatch, calendar, calculator, and alarm. So, the kid learns the calculations using a calculator. The panda will play with your child as there is the ability to record voice and sing a song. When you touch various parts of the panda will show off actions and will make various sounds. The built-in camera that helps to take images, borders are used by kids for electronic learning, and able to choose fun effects. This will support various languages and rechargeable battery with stand by time of 5 to 7 days. This comes with 10 built-in games. So, kids can choose and play according to their wish. This has the 1.5-inch touch screen display with customizable color. It has many other features like a camera to take images and to makes the same as the customizable image. Customizable clock faces of 20. The kid can choose and add according to their preference. The standby time of the smartwatch is 5 to 7 days. But the actual recharge time varies according to the usage. This comes with a sound simulation game same as karaoke. The other features are a calendar, stopwatch, health monitor, alarm clock, run timer, and records the activity track for 30 days. The Vivofir Jr. Garmin has the easy to wear features as it is an elastic band. The elastic band firms the hand exactly and there is no possibility of going off from hand. There is less possibility of losing and breaking the band. This allows the parents to create customizable chores, tasks, and rewards are provided in the form of coins once the completion of the task. The profile of the kids will help to monitor their sleep along with the daily activities track. On using the adventure trail app, the entire family can stay active. For example, you can provide pre – timer tasks like 2 minutes for brushing and 10 minutes to clean their room. After completion of the chore, the kid is allotted with the points and rewards. The Garmin vivofit jr. 2 has the adventurous games and Garmin vivofit jr. doesn’t have them otherwise both the activity trackers are same. The gamin vivofit jr comes with 1-year battery life. So, there is no need for each day or weekly recharge. The model of Garmin vivofit jr is simple, and the one button allows to access various features of the device. After connecting the device to the smartphone app, parents can track and sync kids activities. This wearable is water resistance and swim-friendly of 50 meters in depth. Includes free mobile app for educational and fun adventures for children. The parents are able to track the kids’ activity and able to assign chores. The preloaded chores are able to manage using the parent mobile device. The parents are able to schedule pre – timer tasks for their kid to complete the tasks. On completion of activities and chores, kids can earn coins, and they can be redeemed on agreeing of parents. Parents able to track sleep, active time, and steps. The special feature of this activity tracker as it is having a stay active reminder and the tracker display is visible even at outdoor with a moving bar. Customizable watch faces with time and date.